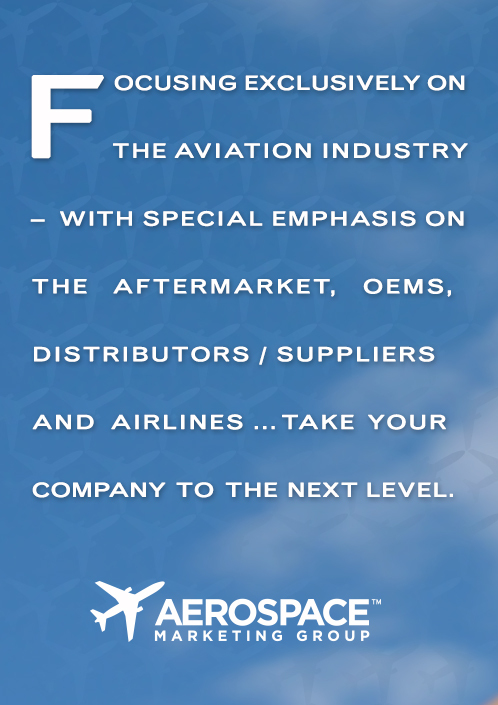 Our mission is to help aviation and aerospace companies gain exposure, build brand recognition, and increase revenues. For more than 25 years, AMG founder Beth Eddy has specialized in serving the aviation market, from airlines to the aftermarket, distributors, suppliers, and OEMs. It is her continued passion for the industry that drives AMG today. Depend on our experience, knowledge, and insight to take your company to the next level. Aerospace Marketing Group is a digital, print and brand awareness marketing agency that will help get your business the recognition that it needs—and deserves. We have vast resources to help your business grow —SEO (on-page SEO and off-page SEO), Social Media, Web Development and Design, Adwords, and Inbound Marketing. Browse our website for details and an in-depth description of the different ways in which we can take your business marketing and success to the next level. Work with the professionals who not only know marketing, but are experts in the field of commercial and defense aviation/aerospace! Or, just call us today and talk to us live! For more than 25 years, AMG founder Beth Eddy has specialized in serving the aviation market, from airlines to the aftermarket, distributors, suppliers, and OEMs. It is her continued passion for the industry that drives AMG today. Depend on our experience, knowledge, and insight to take your company to the next level.